Do human activities contribute to climate change? There is lots of evidence that I have seen showing correlation between human activities and climate change but what evidence is there to support causation? Typically CO2 is considered, but also other greenhouse gasses. 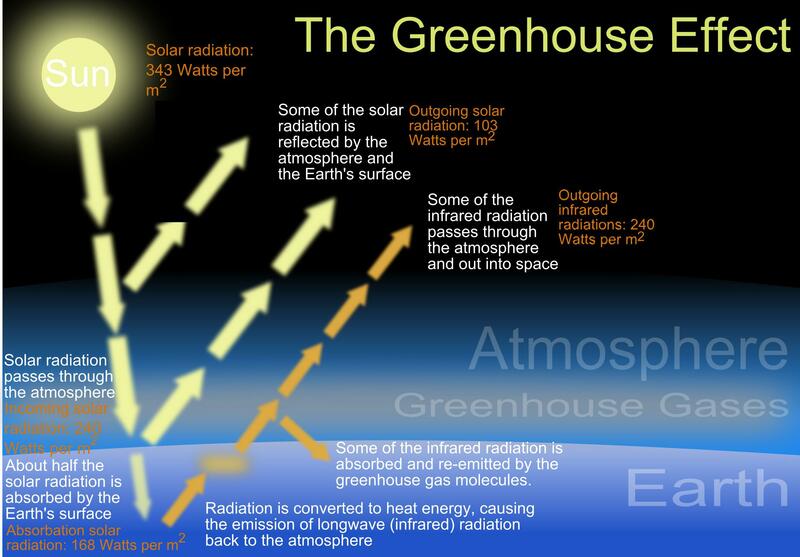 The greenhouse effect of carbon dioxide was first measured in 1859. In the 19th century, scientists realized that gases in the atmosphere cause a "greenhouse effect" which affects the planet's temperature. These scientists were interested chiefly in the possibility that a lower level of carbon dioxide gas might explain the ice ages of the distant past. At the turn of the century, Svante Arrhenius calculated that emissions from human industry might someday bring a global warming. Other scientists dismissed his idea as faulty. In 1938, G.S. Callendar argued that the level of carbon dioxide was climbing and raising global temperature, but most scientists found his arguments implausible. It was almost by chance that a few researchers in the 1950s discovered that global warming truly was possible. In the early 1960s, C.D. Keeling measured the level of carbon dioxide in the atmosphere: it was rising fast. Researchers began to take an interest, struggling to understand how the level of carbon dioxide had changed in the past, and how the level was influenced by chemical and biological forces. They found that the gas plays a crucial role in climate change, so that the rising level could gravely affect our future. Another man-made source is the direct emission of greenhouse gasses through farming (funny, but true! ): manure (and cows) produce methane which is a pretty effective greenhouse gas. Increasing atmospheric concentrations of methane have led scientists to examine its sources of origin. Ruminant livestock can produce 250 to 500 L of methane per day. This level of production results in estimates of the contribution by cattle to global warming that may occur in the next 50 to 100 yr to be a little less than 2%. Plants "fix" carbon (a phenomena called "Carbon sequestration"), the less plants, the less fixing (and the more carbon released by fires). 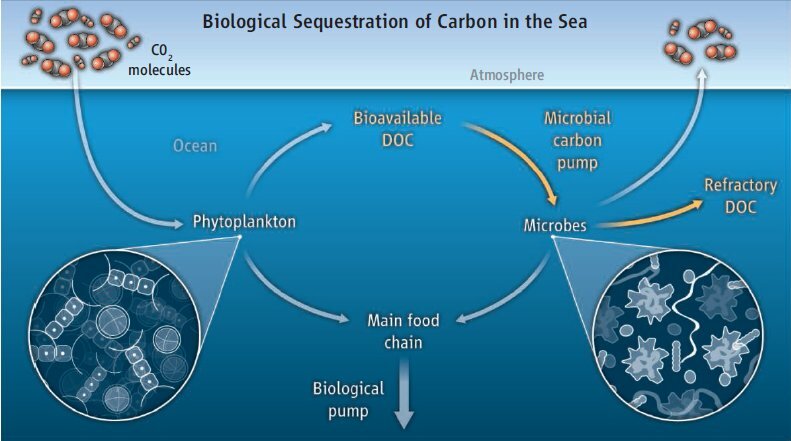 One of the most promising places to sequester carbon is in the oceans, which currently take up a third of the carbon emitted by human activity, roughly two billion metric tons each year. All four of these effect can be shown in a laboratory and no model is required to do so, but we have very very good models to explain the lab experiments. Differently from the lab, the whole climate system is much less understood. And, yes, the model are not as reliable as we would like. However — due to our knowledge of chemistry — it is undeniable that we are affecting climate. Note that nobody has asserted that human intervention is the only cause of climate change, but it can be said, with a straight face, that humans are changing climate. A very simple example, the rise in temperature melts ice at the pole - which is not only responsible for reflecting some light out of the atmosphere, but also contains methane, which is then released. The debate can only be on "how much" and "how well can we reverse the trend (even beyond our contribution)". According to Peter Stott models failed to predict current temperatures (though he echoes the recurring claim that they'll be correct in the future), which means that no existing model has predicted, correctly, any significant amount of future climate change, and new research is steadily revealing flaws in existing catastrophic prediction models, so the answer to those questions should be no. A model which has yet to make an accurate prediction cannot be said to be an accurate model. Therefore, we don't know what effect we're having, we can't predict it, and as a result of those two, we do not know how to alter or control that affect. Causation on a chaos system is nigh impossible to prove with our current abilities, so we rely on modeling. Unfortunately, instead of insisting that a model make a prediction and have it come true before accepting it, we accept models as true if they accurately predict past events (not kidding), which is trivially easy. I can’t answer the question directly. However, there has been at least one large-scale review on the scientific consensus. And it can safely be said that the scientific consensus is overwhelmingly that the current trend in global warming is caused by mankind. It would be weird if this consensus came to be without good evidence. The review did a literature mining for peer-reviewed literature published between 1993 and 2003 with the words “global climate change” in their abstracts. They found 928 abstracts. Of those, 75% explicitly or implicitly endorsed AGW. 0% rejected it. 25% did not take a position. As Russell has noted in the comment, these also include mitigation proposals which shouldn’t be counted towards the consensus (since they merely refer to other papers) but were. Furthermore, the review only used one key phrase for their search, excluding parts of the available literature. So the review contains one systematic error (inclusion of mitigation proposals) and one unsystematic error. Nevertheless, because of the large number of papers it is still safe to assume that these will not change the reported consensus significantly. Note that this does not mean that there are no dissenting opinions in the scientific community – there are – merely that the overwhelming majority of experts accepts AGW and that they probably have good reasons to do so. So you may not agree that global warming is anthropogenic. 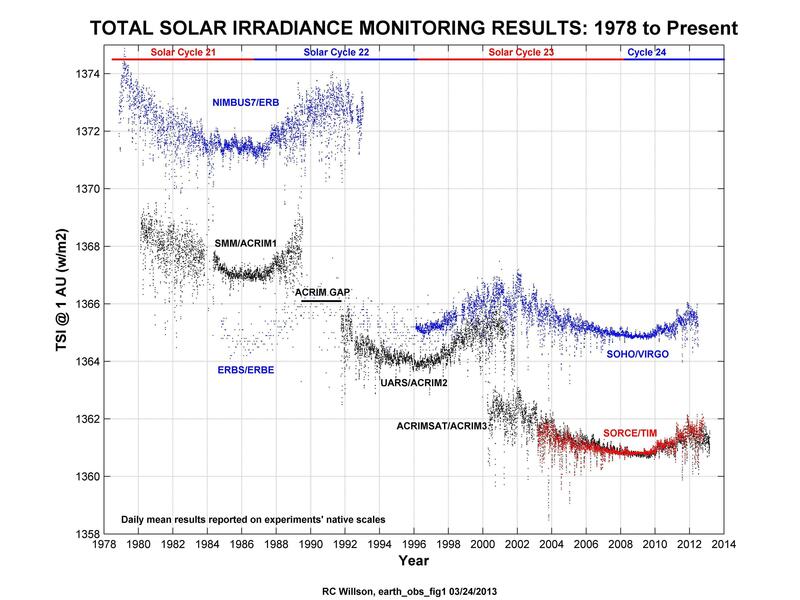 But as scientists look at solar irradiance as just one piece of evidence that correlates with various others that fellow commenters have left, it's becoming increasingly clear that it's not caused by the Sun. What does that leave? What do they mean when they say very likely? They mean 0.95 < p < 0.99. When someone says that the evidence for climate change is comparable to the evidence for evolution they are either advocating that the IPCC is wrong by orders of magnitude or they are gravely insulting academic biology. For instance, there is compelling scientific evidence that our planet is about 4.5bn years old (the theory of the origin of Earth), that our universe was born from a single event about 14bn years ago (the Big Bang theory), and that today's organisms evolved from ones living in the past (the theory of evolution). Even as these are overwhelmingly accepted by the scientific community, fame still awaits anyone who could show these theories to be wrong. Climate change now falls into this category. In an attempt to defend orthodox wisdom mainstream scientists seem to be willing to pretend that the evidence is for climate change is a lot better than it actually is. Other people who see themselves in defense of climate change think that the IPCC is a bit overconfident. Humans typically suffer from confirmation bias. Even a friendly reading of the climate gate emails that Wikileaks published suggest that they don't engage in mental strategies to reduce their vulnerability to confirmation bias. The computer code that they use to generate the models has low standards. It has probably a lot of bugs that throw extra inaccuracy into the models that aren't accounted for. Some data isn't openly available to allow for independent verification. We have seen in the financial crisis that complex computer models often include a lot of assumptions that make them overconfident. Climate scientists test their models on past data and generally don't make predictions about the future to test their models. As the models have a lot of parameters that makes the models to appear better than they are. That doesn't mean that we should assume p=0 but it might be reasonable to use a lower likelihood value than the IPCC value. If we go from 0.95 < p < 0.99 to 0.80 < p < 0.90 we have more than a 5% chance of being wrong. Even if we just go to 0.90 < p < 0.95 we have more than a 5% chance of being wrong. Why does that matter? 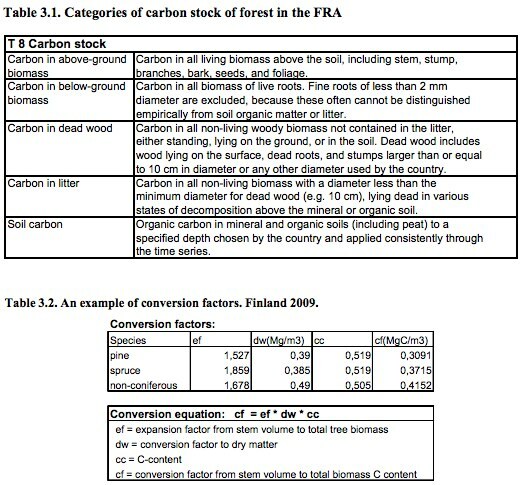 Isn't p=0.80 enough for starting to reduce CO2 emissions? That might be true. If we however start geoengieering the confidence in our models matter a great deal. Starting geoengieering on the assumptions that our models are magnitudes better than they really are is dangerous. Part of being a good skeptic should be to avoid being more confident in your beliefs than the data warrants. We should move past binary classification. Instead of showing tribal loyalty we should call out our friends when they overstate the evidence. 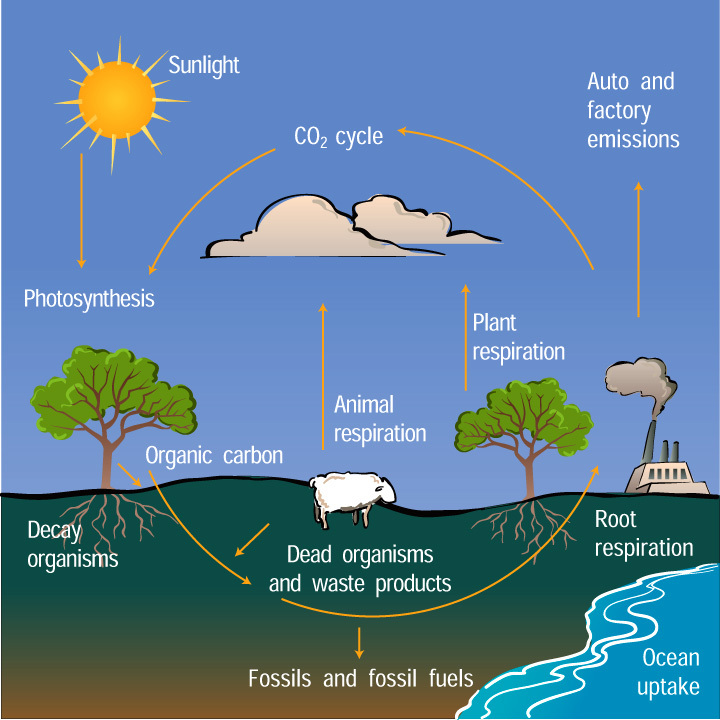 How do Human Activities Contribute to Climate Change and How do They Compare with Natural Influences? Yes, humans contribute to climate change, but there is significant disagreement regarding to what degree humans contribute. Climate change happens, and it has been happening for billions of years. That industrialized human existence is but an insignificant blip on the geological time scale undermines the frequentist views on significance. The premise is that correlation implies causation. However, in addition to the greenhouse effect, there are other facile natural mechanisms which help to explain this correlation. These mechanisms are not mutually exclusive but tend to support the idea that temperature causes carbon --- not the reverse. When you take a step back from the recentist view in order to examine a longer time scale, this relationship between temperature and CO2 weakens. In fact, it indicates that the Earth was warmer even over the most recent Milankovitch cycle. This directly contravenes views that ACC is a result of the human industrial revolution. So, I think it's important to take all facts into consideration. Anyway, a more extended version of this argument against "the consensus" argument is found here. Not the answer you're looking for? Browse other questions tagged climate-change climatology . 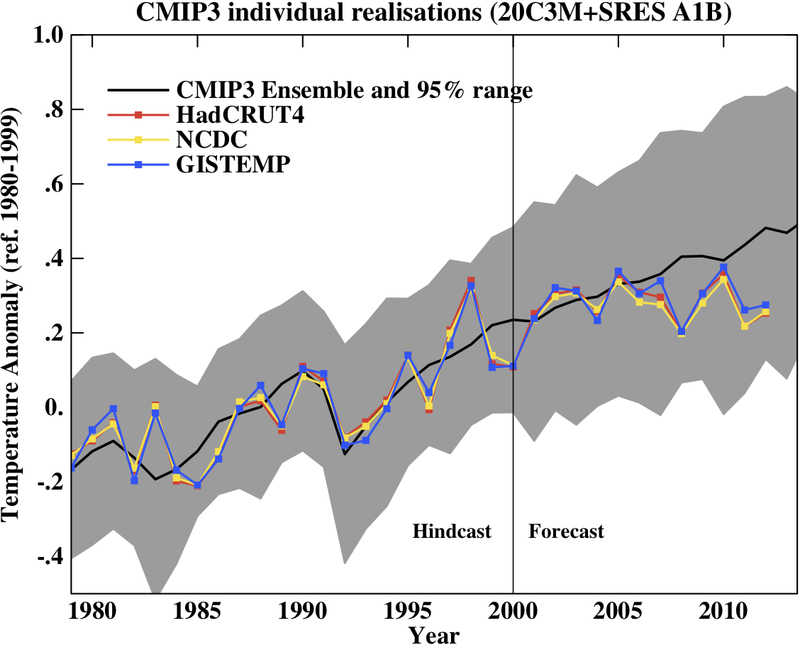 Have 95% of climate models over-forecast the global warming trend? Does global warming even exist? 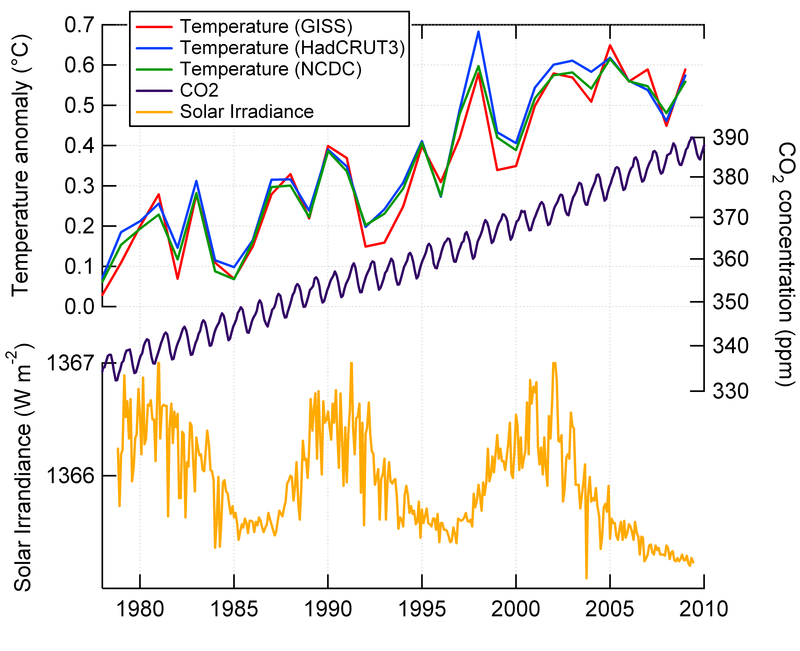 Does the temperaure anomaly correlate with solar irradiance? Is AGW a scientific theory? Has anthropogenic climate change been disproven? Does CO₂ cause Global Warming? 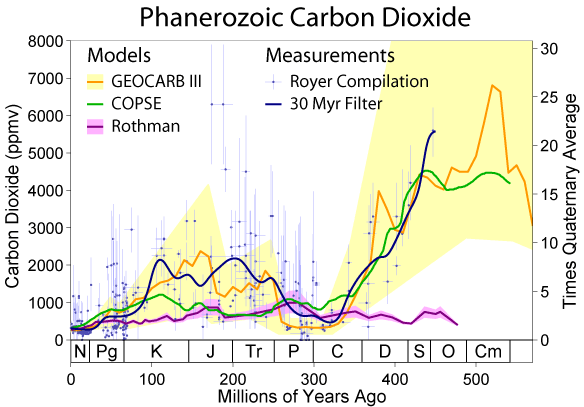 Are we in a low CO2 period, compared to the last 590 million years? Are the 16 scientists who claim that climate change is not something to worry about climate scientists? Did “global cooling” have as much scientific consensus as “global warming” has now? Is climate close to a “tipping point”? Will reducing atmospheric CO₂ reverse the effects of climate change over a few decades? 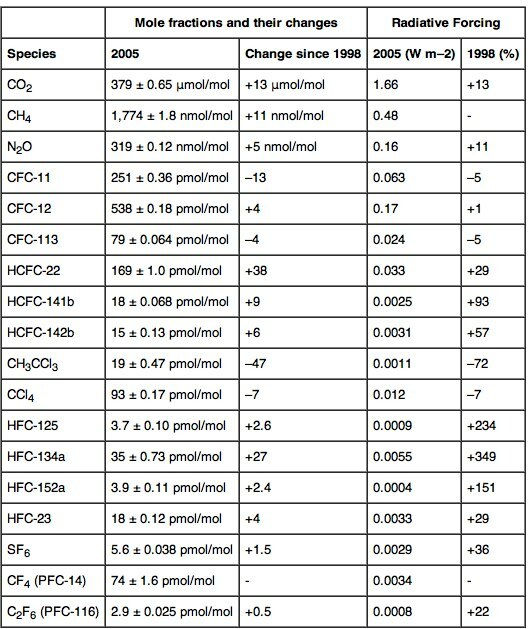 Are the IPCC climate change models overestimating sensitivity to carbon dioxide? Does this graph show climate-change predictions don't meet observations? Has climate change measurably increased the likelihood of tropical storms such as Haiyan? How are airplane contrails linked to climate change? Did Exxon suppress its own scientific results on climate change? Does the logarithmic nature of global warming invalidate climate change claims? Does each doubling of CO2 cause a 2-4°C increase?